On Wednesday 3 April the Ministry of Defence (MOD) hosted the first Defence Suppliers Forum Main of 2019. This meeting saw the launch of the Defence Industry Vision 2025; a collaborative effort to improve the defence industrial environment within the UK. The DSF Main saw commercial, programme, and policy leadership of the MOD, as well as senior industry leadership from over 30 companies, meet to discuss the strategic issues impacting Defence. The meeting was hosted by Stuart Andrew MP, Minister for Defence Procurement and Charles Woodburn CEO of BAE Systems. A sustainable supply base that delivers choice and value for money to the MOD. Meeting MOD’s essential capability requirements. Commitment to delivering greater value for its customers. An agile supply chain which responds to MOD’s requirements and adopts innovation. An industry that invests to grow their business. Contributing to UK economic growth and prosperity; generating value for the UK economy. Provide a clear and coherent view of future requirements through formal and informal channels and be open to Industry’s thought on how to deliver Value for Defence. Drive early market engagement, allowing suppliers to inform our requirements and giving the market time to respond to our needs. Enhance our competitive leverage and use it to ensure value for money through competitive procurement wherever appropriate. Recognise earlier when different acquisitions strategies (i.e. partnerships, Industrial strategies) will unlock long-term Value for Defence and take decisive action to implement them with Industry. Working together we will support defence exports, recognising the value to Defence and the wider economy. Display a willingness to consult with industry on process change and have a consistent application of what is then determined. 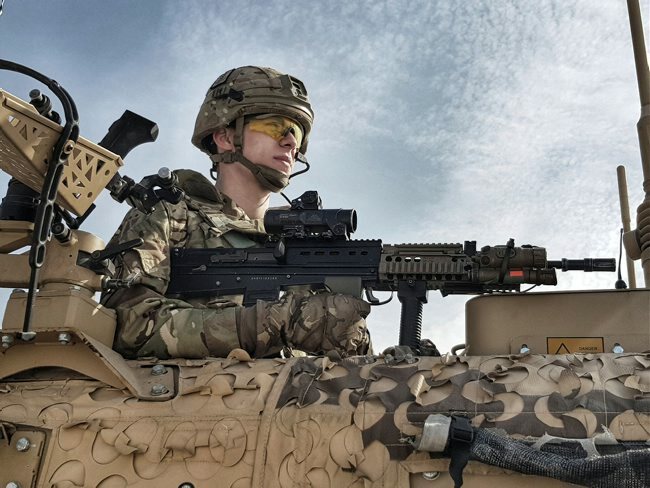 Vision 2025 sets out an ambitious set of goals for the MOD and industry, many of the issues highlighted have been persistent and prevalent for years. It is clear that new approaches across the spectrum will be required; from requirement setting and capability management to commercial and procurement regulations. ADS remains deeply engaged with the work of the DSF and will be working with industry and civil service partners to deliver on the Vision.